Thank you for your interest in Araya Artisan Chocolate products. We value relationships with our wholesale partners and enjoy working together to share the Araya’s chocolate experience. 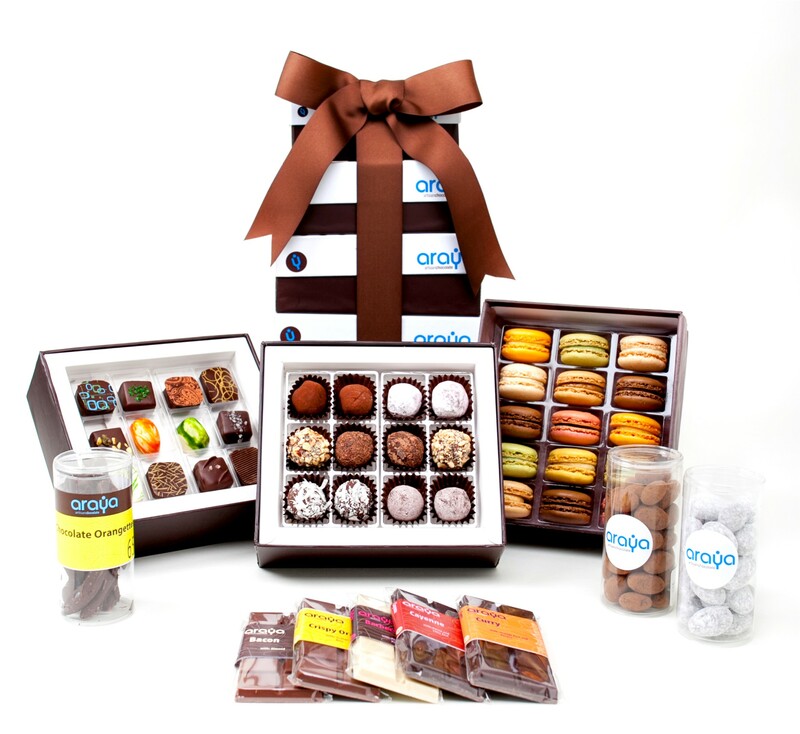 A selection of our chocolates and confections are available for wholesale to appropriate gourmet food retailers. Our products are handmade and not mass produced so we can't always accommodate all requests, but we are always happy to discuss any possible opportunities. Whatever your inspiration may be, our chocolates will add beauty and curiosity to your gourmet grocery, specialty store, boutique or even yoga studio. Interested in partnering with us? Please send us an email to arayachocolate@gmail.com. We look forward to answering any questions you may have and learning more about your business!